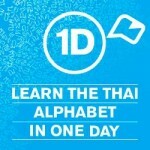 Still planning a trip to Bangkok? The floods are hitting Bangkok pretty hard but it's still possible to go to Bangkok especially if your on business or just want to stay in the city center. The government of Thailand is doing everything it can possibly do to make sure those areas stay dry. 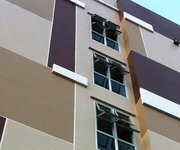 So I've made a list of hotels that are pretty much flood safe and if for any reason it was to flood near the hotel you'd be sure that these hotels will take care of you and you won't have to move rooms or hotels though I doubt highly any of these hotels will get flooded nor the surrounding area. 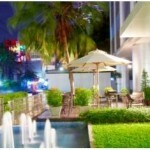 Check out Hotels not flooded in Bangkok for more hotels unaffected by the floods in Bangkok. 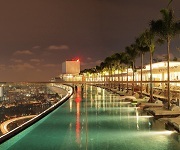 This hotel isn't huge by any standards but it has such an awesome roof top swimming pool and lounge area it's something spectacular especially with the surrounding view. It's also a real bargain right now with the floods normally it's close to $200 a night during high season. This is a massive hotel and sure sure to keep dry at this hotel in Bangkok. During the floods it's OK to stay inside and hang out and this Bangkok hotel is one place you'd be happy staying at, it's a bargain price right now swimming pool gym etc you can't beat this place for value right now. Smaller hotel if you prefer privacy good for business travellers it has free wifi and away from the Bangkok floods. Planning to ride out the floods in luxury, you can get a good deal on this 4.5 star hotel if you stay for more than a few weeks. This hotel has more than 200 rooms from all shapes and sizes. If your looking for a little luxury but at a good cost then don't look further than this place. They assured me If I stayed here and it flooded I would have everything I needed. They also said they had backup gas generators which was good to know. For more information or to book a room click here. Nearly 400 rooms this is a serious of serious hotels and being managed by Accor you know that each room is going to be stylish and well appointed. I don't like staying at hotels this pricey in Bangkok (maybe in New York) but we all have our budgets. 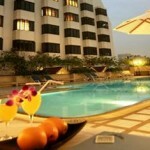 I am recommending more pricey hotels here for a couple of reasons. First you can be assured that you won't go hungry, they make sure of that. Secondly They are taller, with the floods coming you don't want to be in a small guest house only a few stories high, this style hotel in Bangkok will take care of you no matter what. This is an old favourite and for most of us who have been coming to Thailand for the past 20 years will know this place. I've never stayed there but when the jazz bar downstairs is going it's a great place to take your girlfriend. 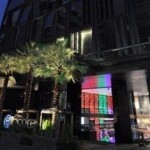 -I've stayed here once before when I used to go to Bangkok every week. If I got stuck anywhere in the floods I'd love to get stuck in this place. Garunteed they have the most comfortable beds, free wifi and well stocked minibar. Just an update on the floods in Bangkok, most of the inner city of Bangkok is still dry and has been. If your booking a hotel in Bangkok in or just around the center of the city like Silom and Sukhimvit roads then everything is safe and none of the hotels in that area are affected by the floods. soi’s higher than soi 40 are flooded, soi 39 is started to see a little flooding. If your condo is higher than the 1st floor it’s safe mate and will be the depth will not get higher than a meter in that area but depends how far down the soi it is either way if it’s not on the first floor it’ll be safe.